Jumpluff in game: 366 Who? Important notice! Pokemon Jumpluff is a fictional character of humans. 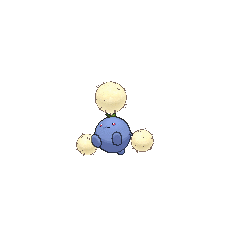 Jumpluff drifts on seasonal winds and can use its spores to masterfully maneuver itself around the globe. It will spread spores as it floats around to compose offspring. It descends if it encounters cold air currents while it is floating. Though it spends a good amount of time in the air, it is commonly sighted above open grasslands. Jumpluff's debut was in Bulbasaur... the Ambassador! where a number of them were feuding with the other Pokémon at Professor Oak's Laboratory. A Jumpluff appeared Thawing an Icy Panic!, under the ownership of Ramos. It reappeared in The Green, Green Grass Types of Home! in a Gym Battle against Ash. Many Jumpluff made a short appearance in Celebi: Voice of the Forest. Tammy had three Jumpluff in I Politoed Ya So! which were part of her cheerleading squad. Several Jumpluff were among the inhabitants of the Dragon Holy Land in Fangs for Nothin'. Multiple Jumpluff attacked Team Rocket in Hatch Me If You Can who were trying to steal Ash's Larvitar. 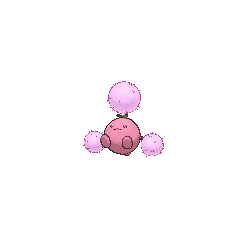 Several Jumpluff were among the Pokémon seen at Professor Oak's Laboratory in Showdown at the Oak Corral and Journey to the Starting Line!. A Jumpluff was used by one of the students of the Pokémon Trainer's School in Gonna Rule The School!. A Trainer's Jumpluff appeared in Off the Unbeaten Path participating in the Pokémon Orienteering. A Jumpluff made a brief cameo in Giratina and the Sky Warrior. A Coordinator's Jumpluff appeared in Dressed for Jess Success! participating in the Lilypad Contest. A Jumpluff made a brief appearance under the ownership of a Trainer at the Lily of the Valley Conference in An Old Family Blend!. Multiple Jumpluff appeared in the opening of Diancie and the Cocoon of Destruction. 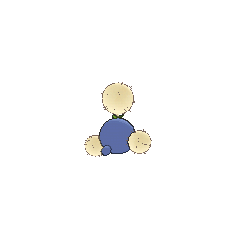 A Trainer's Jumpluff also appeared in Thawing an Icy Panic!. 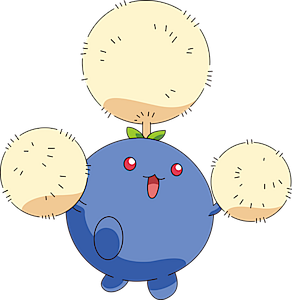 EP229 Jumpluff Ash's Pokédex Jumpluff, the Cottonweed Pokémon. 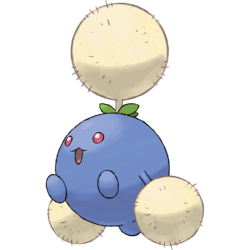 Jumpluff catches a simmer of wind to spread its cotton-like spores and make offspring. 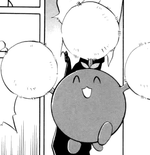 In Pokémon Adventures, Jumpluff debuted in Jumping Jumpluff, which Eusine is shown to own one and has used it for flight transportation. He uses it again in Great Girafarig, using Cotton Spore to distract it's opponent, and had secretly planted Leech Seed on its opponents. In Suddenly Suicune I to Suddenly Suicune III, it was used to fly Eusine to catch up with Crystal. 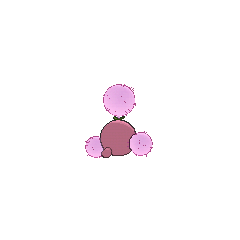 A Jumpluff appeared in The Last Battle XIII as one of the Pokémon sent to help the fight in Ilex Forest. Another Jumpluff appears in the FireRed & LeafGreen chapter owned by Orm from The Three Beasts Rocket Trio. In the X & Y chapter, a Jumpluff appears in PAXY24, owned by Ramos, kept him in the air as he directed his other Pokémon to prevent the ultimate weapon from activating.